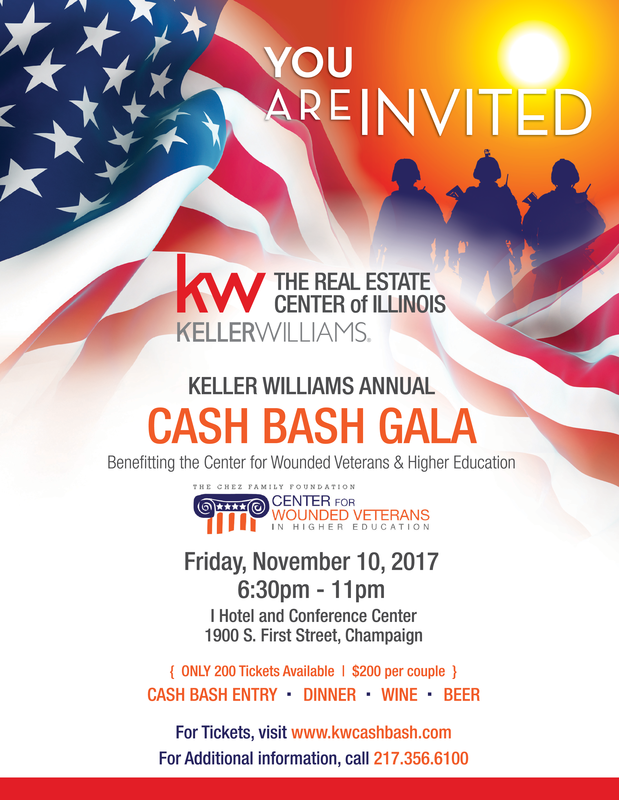 Structured to benefit the Chez Family Foundation Center for Wounded Veterans in Higher Education, this is a fundraiser like no other! Only 200 tickets will be sold! Each ticket provides admittance for two along with dinner and drinks (beer, wine, tea, etc.). The event runs from 6:30pm through 11pm and includes both live and silent auction packages. All proceeds for the event will go to The Chez Family Foundation Center for Wounded Veterans in Higher Education. How does a Cash Bash Work? When you purchase your ticket you receive a number. During the event all 200 tickets/numbers will be drawn. Every 10th ticket drawn (10th, 20th, 30th, 40th, etc.) wins $100 each. The 1st, 50th, 150th and 199th tickets drawn wins $500 each and the final number drawn is worth $4,000! You do not need to be present to win and a portion of your donation is tax-deductible under 501c3 rules.